This book in 3 words: Accessible, Friendly, Practical. 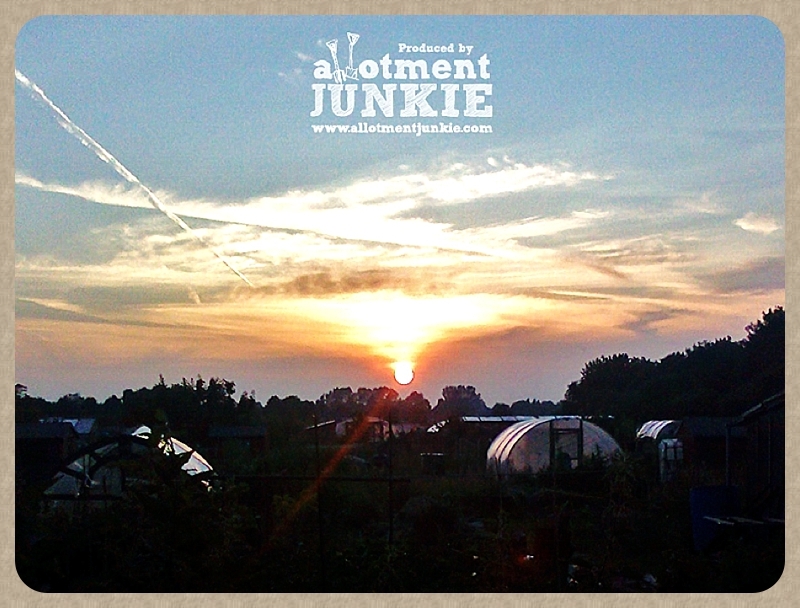 Step by Step books are often a little prescriptive & bossy and can feel a bit like being back at school with an overbearing biology teacher on a long Thursday afternoon, but this book, written by Manchester’s Allotment Junkie – Paul – is far, far from it. With it’s friendly, family orientated tone, it draws you into the story of one family’s determination to be more self sufficient, for both financial, romantic and foodie reasons. Even in the muddiest, wettest, lowest moments, there is something positive to be learned and Paul passes on his tips & hints gained through experience in a warm and lovely to read voice. It’s like an expert giving you pointers, but a really friendly, accessible expert who isn’t afraid to tell you where he went wrong so you won’t make the same mistakes. 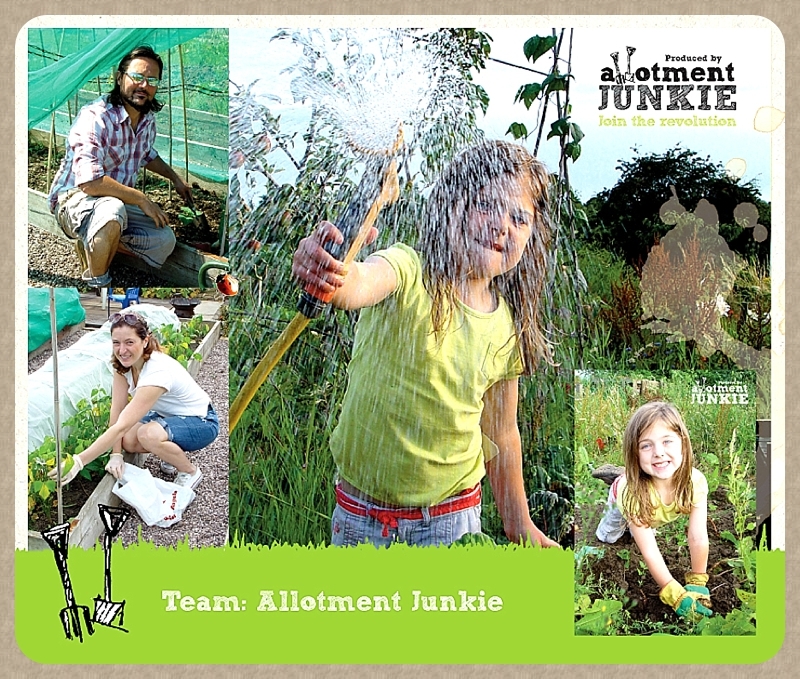 Wife Claire gets involved, as does daughter Maya, with lots of images of them all getting stuck in and developing their South Manchester allotment through one of the coldest, wettest periods we’ve seen in years. The book is full of inspirational and very personal imagery of their plot and adventures, with a real timeline running through the chapters. I loved the fun headings such as “Defend Your Veg!” and “Name That Tune” but there’s also technical information in there too, on things like soil pH and how to plan the space. There’s also a useful interactive section at the back for notes and planning. 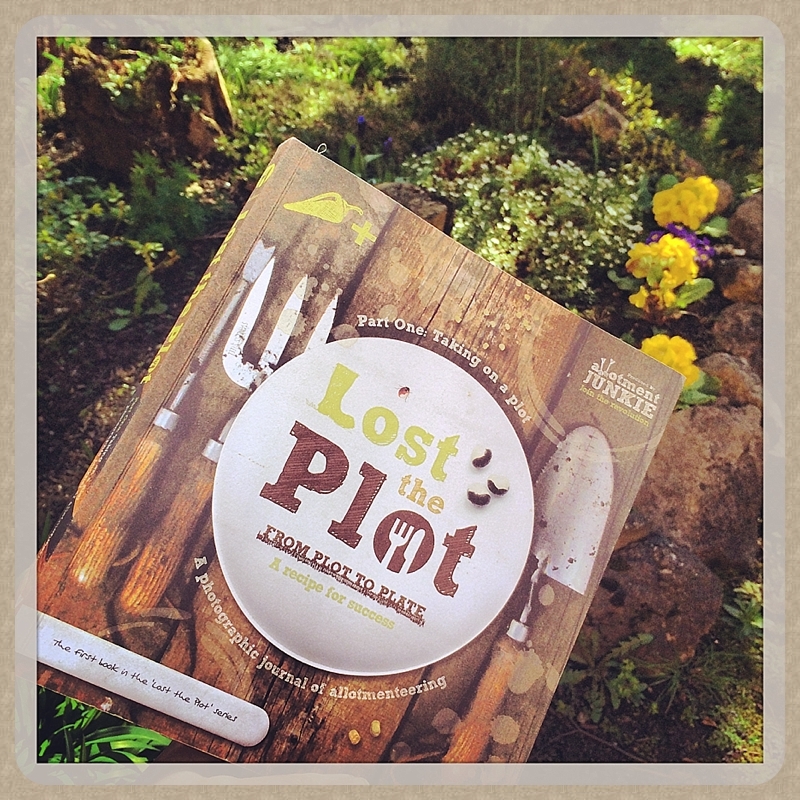 Now all I have to do is get more than seven days in the Moregeous week, find my plot and I’m off! Seriously, if you’re thinking of turning from an Allotment Virgin into an Allotment Junkie, this is a cracking self-published book to whet your appetite and get you started.